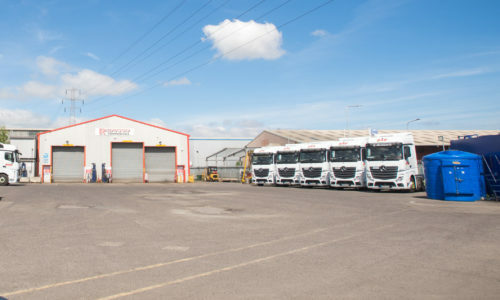 BSB Transport are a haulage company located in North East Lincolnshire, within easy access to both the Ports of Immingham and Grimsby. With a modern fleet of 30 vehicles, from flatbed to container trucks, maintained to the very highest of standards. BSB Transport are extremely experienced within the transport sector, and are renowned for our fantastic customer service. You can rest assured that your container will be delivered and collected on time, and if there is any reason out of the team’s control that will affect this, you will be notified at the very first opportunity. BSB Transport are able to collect your shipping container from any port and deliver directly to you. 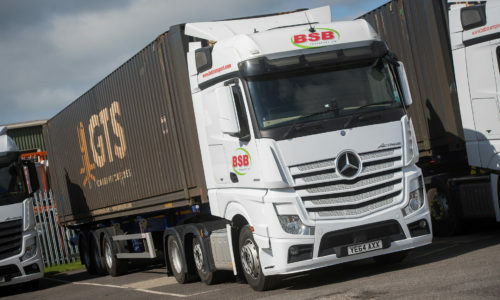 From single shipping containers, to a multi-site project movement, BSB Transport are able to meet your requirements. At the new 4 acre site in Stallingborough, Lincolnshire, BSB Transport are also able to offer safe and secure container storage. As sustainability is a key business focus for BSB Transport, the most cost-effective way of unloading or loading your goods will be carried out, no matter what your load may be. The aim is to send lorries out loaded with containers, and come back loaded too. 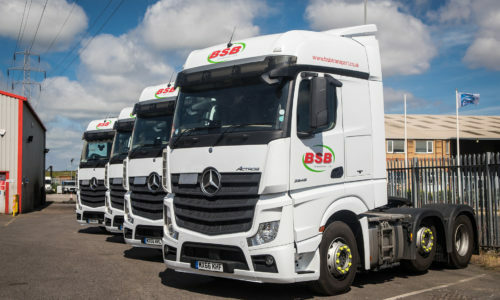 As well as recently upgrading the fleet to Euro 6 technology, BSB Transport feel it is important to save customers time and effort. This is aided by working with a variety of partners both within the UK and internationally to ensure loads are full, thus increasing sustainability. Container haulage is the most common method of transporting cargo. BSB Transport carefully transport your load to any port, and your needs are listened to – providing the container method that is right for you. 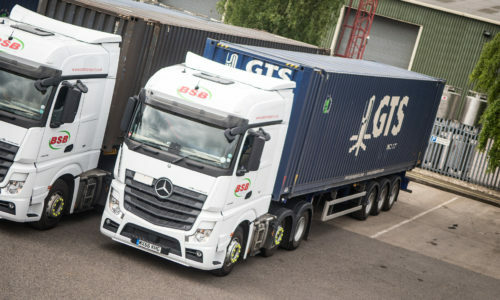 BSB Transport will look after your cargo from the very beginning, ensuring it is safely and securely lifted on and off the ferry with forklifts. A Ro-ro unaccompanied trailer service is also a service offered, ideal if you have a load which is too large for container shipping.